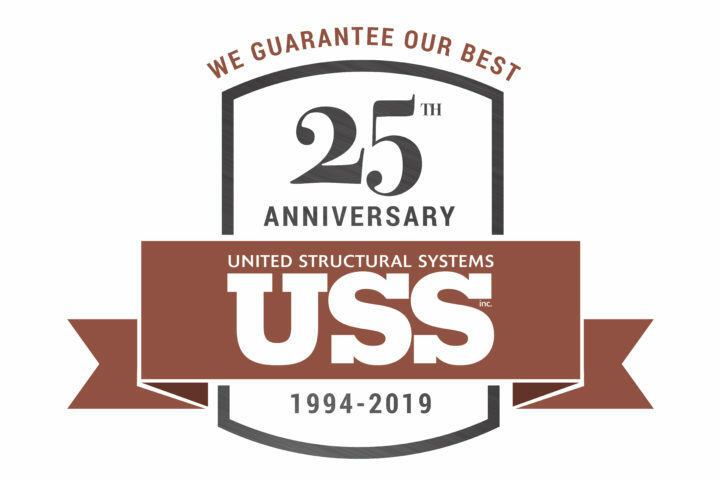 PLEASANT VIEW, Tenn. — United Structural Systems, Inc. (USS) is celebrating 25 years of guaranteeing their best across Middle Tennessee and Southern Kentucky. USS was incorporated in 1994 by Mike and Chris Smith. Father (Mike) and son (Chris) decided to bring their foundation repair expertise to Tennessee following Mike’s career fixing foundations throughout Illinois, Indiana, Kentucky, Ohio, and West Virginia. Today, USS has grown to over 120 employees and helped over 15,000 customers solve their foundation repair, waterproofing, and concrete leveling problems. Having worked on homes and buildings in almost every city and town in Middle Tennessee, they can’t help but feel a strong connection to the surrounding communities. “Most of our employees have been with USS for years. They feel a great sense of pride in having helped build both our company and the surrounding communities we serve,” said Smith. For more information about United Structural Systems, Inc., please visit: usstn.com.